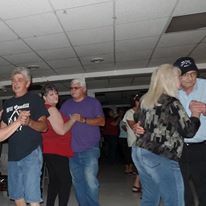 Located in the lower end of Letcher County, in an area where lots of Watts, Campbells, and other Scots settled, Campbell’s Branch holds a jam every Friday night, and it’s always well attended. Go and tap your foot, or even dance a little. Eat some of the traditional food they serve, and talk to the locals. You won’t regret it. Click here for their Facebook page. Hemphill is at the other (upper) end of the county, and they also have music every Friday night. So, just to be fair to both ends of the county, don’t miss that either. As at Campbell’s Branch, go to hear music, dance, eat, and get acquainted. Click here for their Facebook page. While you’re there, look at the monument to the coal miners who fueled the industrial revolution of the 20th century and made the United States the powerhouse it became. Visit during the summer music school, and watch people from all over, but especially children, learn to play traditional instruments and play in the creek. It would be hard to find a prettier setting for a music school, nor a friendlier group of people. Click here for more information. The route 7 Artisan Fellowship sponsors Jammin' in the Park in the Blackey Park every Thursday night most summers. As the name suggests, the Jam will be held in the beautiful little town park at Blackey, and it’s free. Bring a blanket or a chair, sit in the shelter or lie back in the grass, and hear authentic music. Appalshop, located in Whitesburg, is a non-profit dedicated to preserving Appalachian culture. Besides making videos that preserve the culture of this area, Appalshop also offers a radio station that broadcasts both on air and on the web. It also has a lovely little auditorium, and it periodically brings in bands from outside. Check with Appalshop for when those events are occurring, or click here for their website. Every town in the county holds a festival at some time during the year, usually early to mid-Fall. The exception is Appalshop's Seedtime on the Cumberland Festival at the beginning of summer. (Click here for more information on the Seedtime festival.) All the festivals feature a day or more of local and sometimes outside music. So show up at Whitesburg for Mountain Heritage Weekend (click here for more information), or at (successively from Labor Day to the first half of October) Jenkins (click here), Neon (click ​here), Isom (click here), and Blackey (click here) for their “Days,” and hear all the music you could hope for.